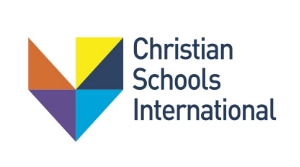 It is a privilege for Christian Schools International to serve our member schools. For information about Christian Schools International member services and resources go to www.csionline.org. For specific questions, contact Jeff Blamer, Vice President of Member Services at jblamer@csionline.org. A new science teacher resource And It Was Good: Teaching Science from a Christian Worldview is currently in development, with plans to be completed in early 2015. This science resource contains both print and online components that connect the Teaching for Transformation Throughlines (developed by the Prairie Centre for Christian Education) and essential questions with the Next Generation Science Standards (NGSS) storylines. Christian Schools International believes that every member school should have a school improvement plan and be held accountable to mission and standards. To assist schools in making their plans, Christian Schools International offers Vision to Action generally used by schools new to the accreditation process and Measuring the Mission the benchmarking model connecting mission, learning, and faith integration. Agreements for dual accreditation are in place between Christian Schools International and most U.S. regional accreditors including AdvancED (North Central Association). Christian Schools International is partnering with ENGAGE Inc. to offer REVEAL for Christian high schools. The tool is intended to assess the climate of the school as a greenhouse for spiritual formation. Between Members electronic newsletter is produced bi-weekly. It is emailed to all administrators, teachers, and staff whose emails have been provided by the school for our database. Our Called-to-Lead blog is providing spiritual enrichment, worldview perspective, and leadership thoughts to more than 12,000 visitors in more than 100 countries. Christian Schools International offers an Educational Leadership Development Institute that enables teachers to explore school leadership. Seventy percent of ELDI alumni are serving in school leadership. Holland Michigan will be an ELDI site in July 2015. The expanded 2014-2015 webinar series is engaging school leaders and teachers in distance learning. A full list of leadership development programs is available on the website. The Christian Schools International pension plan remains a highly valued program and it is fully funded. Five new schools joined the plan this fall. The Christian Schools International insurance plan continues to serve schools. An important component of this service is assisting the school to insure that its practices comply with the new requirements of the Affordable Care Act. Uncompromised worldview: the CSIonline Academy is diligently working to insure that enduring understandings and essential questions challenge students to think Christianly.